The landed aristocrat during the Regency maintained a lifestyle that he could often not well afford. The multiple country estates were a combination of luxury hotel, museum, art gallery, and corporate headquarters. In addition, Society expected him to own a large townhouse in Mayfair. Apart from any questions of status, the aristocrat maintained a large staff to support the upkeep of each of his properties and to see to the real and sometimes unreal needs of his family and guests. The number of employed servants can be seen as extravagant in retrospect. The Duke of Westminster, as well as the sixth Duke of Portland, was said to have employed 300 servants, the same number as Queen Victoria. The Duke of Richmond and Gordon had a modest staff of 38 men and women in his employ. 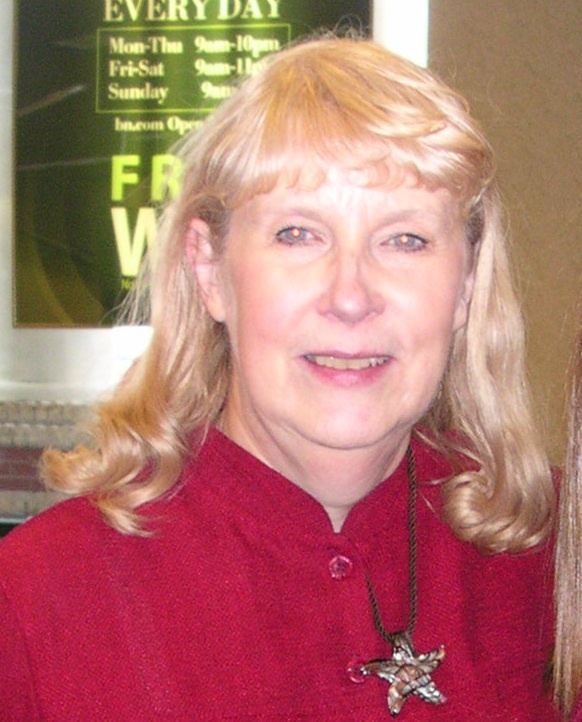 The normal range was 40-50 in service in the typical household. The number of male servants defined the finer homes for a tax on male servants was introduced by Lord North in 1777 to help pay for the cost of fighting the Americans. During the Napoleonic Wars, the tax reached a figure of £7 per year for each male servant beyond eleven in a household. From 1786 to 1869, the cost of keeping powdered footmen was also increased by a duty on hair powder. Some employers forced their footmen to economize by using flour instead of hair powder. Unfortunately for the aristocrat, some footmen collected their £1 or £2 allowance for hair powder while actually using flour. The daily powdering of the hair was an undignified and unpleasant process. A stiff lather was achieved by combining soap and water, which was then carefully combed through the hair so that the tooth marks showed in even rows before the powder was applied. Before he could find his nightly sleep, the footman had to wash his hair and apply an oil to protect it from falling out. The specially tailored livery that footmen wore also was an expensive outlay for aristocratic households. In most households, footmen received two suits per year. By the mid 1800s, a footman’s suit cost 3 guineas at Doudneys of Old Bond Street and the Burlington Arcade. 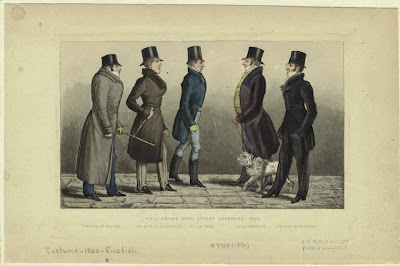 Some male servants went the way of their powdered wigs: for example, the running footman, who kept a steady pace of 7 mph, as he ran in front of his master’s coach, disappeared from the British way of life. In execution of his duties, the running footman paused periodically for a sip of white wine mixed with egg, which he kept in a silver, ball-shaped container at the end of his staff. Male cooks also became a rarity. Only the wealthiest among the aristocracy could afford to employ a full range of house steward, groom of the chambers, valet, cook, butler, under butler, footman, usher, page, tiger, coachman, grooms, and gardeners. 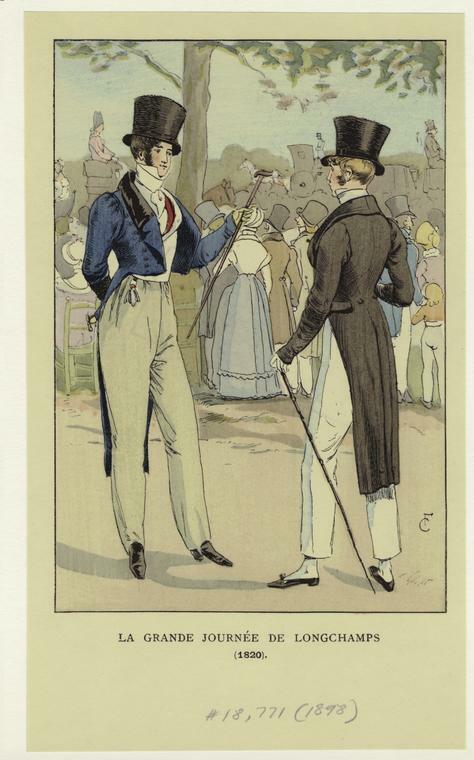 Footmen were matched for height, coloring, and looks. Most were over six foot in height, and it was a common practice for the taller men to receive a few extra pounds each year as a sort of “bonus.” They were trained to walk and act in unison. The best households had three footmen. No matter his Christian name, the first footman was known as “James.” He would act as the lady’s footman: preparing her breakfast tray, walking her dog, brushing the mud from her hems, cleaning her shoes, and accompanying her upon her days out. The second footman would lay the luncheon table, act as valet to the eldest son, and clean all the mirrors in the house. 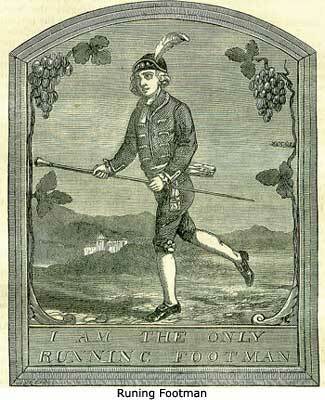 The third footman did a variety of jobs, as he often acted as an apprentice to the first two. The first and second footman also waited upon table. All three cleaned the valuable gold and silver plate. 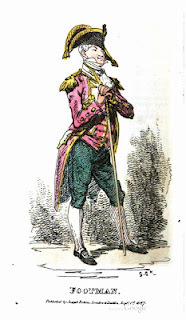 Often a footman aspired to become a valet. However, to be a valet, the footman must have been, at least, 30 years of age. Many times, the footman did not possess the education in order to assume the position. One must remember that a valet achieved a certain superficial gentility through his master’s status in Society. Livery was not required, and the valet would dress as a well-to-do man-about-town. His main duty was to see that his master appeared to best advantage in the world. Often times, his employer depended on him to be aware of Social connections and the latest gossip and to serve as his advisor. The valet was expected to have a basic command of several foreign languages and know something about sporting equipment. Because of these requirements, it was difficult for a footman to become an upper servant. Thomas Raikes, born in 1777, was a member of that select group of British dandies who stood at the apex of society and surveyed it with both a sneer and a smile. 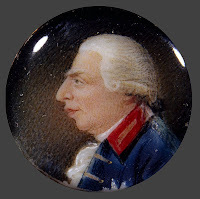 He was a schoolmate and friend of George Brummell, as well as William Arden, 2nd baron Alvanley, Frederick Gerald 'Poodle' Byng, and Berdmore Scrope Davies. There is only one picture, that I can discover, extant of Raikes. It is a mild caricature by Richard Dighton, titled "One of the Rake's of London". You can view it here at the National Portrait Gallery. Though he was the son of a merchant banker, Raikes was accepted, apparently without question, into the ranks of the haut ton. He was described as having "risen in the east and set in the west" (the east being the commercial City of London, and the west being the social hub of Mayfair) and was nicknamed 'Apollo' because of it. "...he preferred play to work,; thought the shady side of Pall Mall a pleasanter place than the Exchange, a box at the opera more agreeable than a stool in the counting-house; and considered that spending money was a more charming occupation than earning it." "He was neither highly born, nor highly educated, nor highly gifted, nor highly fortuned, nor highly distinguished...Mediocrity was his essence." Despite these strictures he appears to have been highly respected and well-liked by his friends. The print above appeared in 1820. Called "Well Known Bond Street Loungers", it depicts left to right: The Earl of Sefton, the Duke of Devonshire, "Poodle" Byng [with his dog], Lord Manners and the Duke of Beaufort. They all were friends or acquaintances of Raikes. Raikes married in 1802 and, during their twenty year marriage, his wife Sophia presented him with four children. There is no evidence that this was a match of consuming passion, or that Thomas ever allowed his family to interfere with his pleasure. When Sophia died in 1822, Raikes continued with his daily round of clubs and entertainments. He did not begin to keep a journal until late in life, but it never mentioned family life. 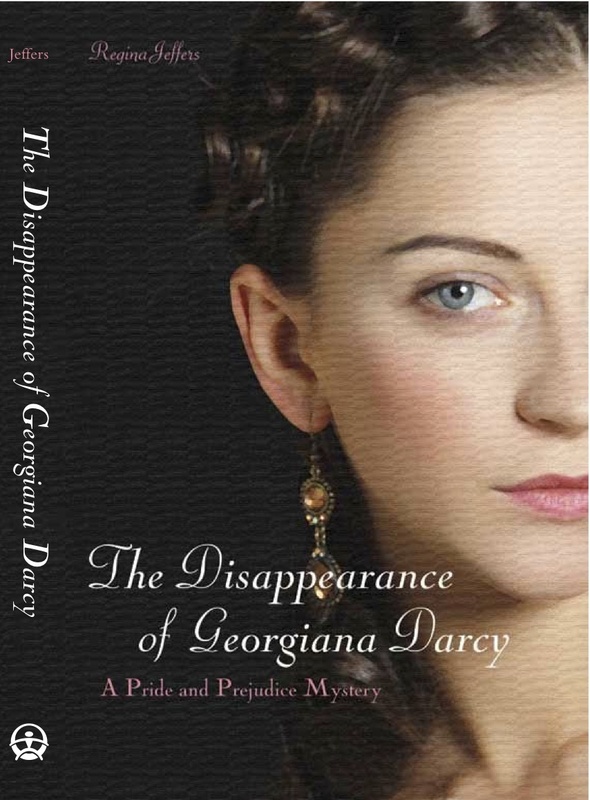 In it appear, instead, all the most notable characters of the Regency era. Indeed, the Eclectic Magazine claims his memoir includes "...crumbs which ought not to have been swept off the table of life into oblivion." Among those he recalls are William IV, Talleyrand, Louis Philippe of France, but especially he speaks of his good friend, George Brummell. "...a spirit of liberality in Brummell, which with all his faults he possessed..."
"Brummell was the supreme dictator, "their club's[Watier's] perpetual president," laying down the law in dress, in manners, and in those magnificent snuffboxes, for which there was a rage; he fomented the excesses, ridiculed the scruples, patronised the novices, and exercised paramount dominion over all." I sense a wistful envy in these words, as if Raikes would like to have done all these things, if only he could have been bothered. "Not that Tom Raikes ever did anything bad enough..."
Thomas Raikes travelled widely in his life: a grand tour with a private tutor beginning in 1795, and later The Hague, Paris and Russia. In 1832 it seems financial embarrassments took him to France to live for some eight years. In short, Mr. Raikes became "a man about town," and few men were better known, or in his immediate circle, more highly respected." If he did no good, at least he did no harm. There are certainly worse epitaphs. He deserves, I think, to be more widely remembered among Regency aficionados. A search on his name in Google Books, will bring up his extant writings. I can't read a great deal right now, because of my eye surgery, but I can't just stop reading, either! I was browsing The Lady's Magazine for 1804 the other day, and found some interesting facts about George III's illness in that year. Many of the magazines of the Regency era published, at year's end, a list of that year's most interesting events. I have one such list from the Scots Magazine for the year 1800, The National Register for 1808, and several from The Lady's Magazine. In 1804, The Lady's Magazine "Chronological Table of the Most remarkable Occurrences of the Year one Thousand eight Hundred and four" relates the government's difficulty in ascertaining the exact condition of the king's health. Reports are recounted throughout the month of March on the vagaries of his illness and efforts to determine what steps, if any, the government should take. 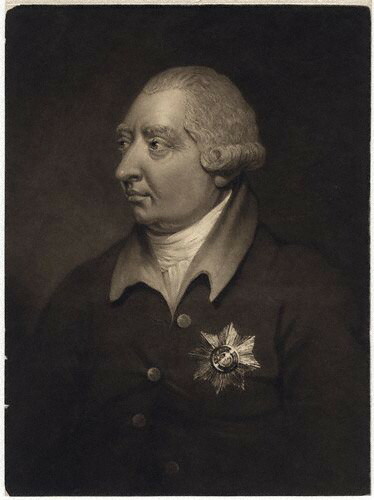 March 2, 1804 Discussion in the house of lords respecting the royal indisposition. --Lord Grenville solicits some communication on the subject from the lord chancellor, who refuses to say anything further than that he would not think it consistent with his duty to affix the great seal to any commission without taking his majesty's opinion upon it. --Lord Grenville insisted upon the right of the legislature to be informed whether his majesty could come to his parliament and transact business. March 3, 1804 Mr. Grey, in the house of commons, asked the chancellor of the exchequer, whether his information relative to his majesty's health was derived from personal access to his majesty, or from the report of the physicians. The chancellor the of exchequer replied, that it was from the report of the physicians; upon which, Mr. Grey gave notice of a motion on the subject. March 6, 1804 The lord chancellor, in the house of lords, intimates his having seen his majesty, and obtained his consent to the passing of a bill in which his interest was concerned. 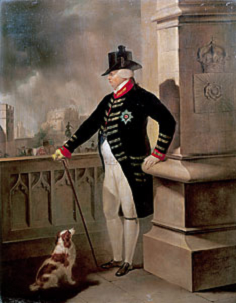 March 7, 1804 His majesty's indisposition continues, with no material alteration. 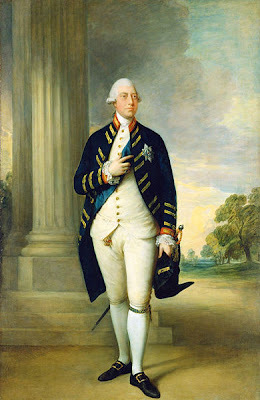 March 10, 1804 The lord chancellor affirms that his majesty is in a state of health that rendered him fully competent to exercise the royal functions. March 12, 1804 His majesty stated to be considerably better. March 24, 1804 The chancellor and Mr. Addington had audiences of his majesty, who advances in his recovery. --Bulletins discontinued. This crisis of health for George III was followed by a period of improvement, but his health continued to be variable and in 1810 he suffered a severe collapse. The Regency Bill of 1811 followed, and the sick old king lingered until 1820. It is easy to overlook the extreme difficulty which the king's illness caused for the Parliament of Great Britain. Those governing the country were dependant upon the monarchy's seal of approval for their actions. When the king could not function, the whole country suffered. 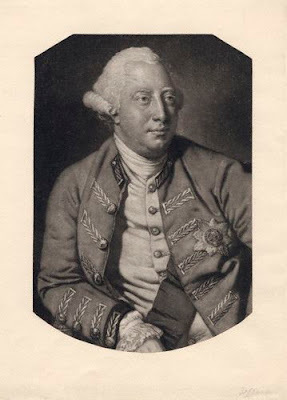 Certainly the sons of George III and their contemporaries lived in uncertain times, complicated by George III's illness. The dukes of Regency fiction surely could not have been quite so carefree as they are portrayed! I apologize for being unable to post a new blog this week! I had cataract surgery on Monday, and I hoped I would be able to see well enough to complete the blog I had started last weekend. However....I can't see well yet! So I offer you an article which is posted on my website; one more probably suited to Victorian times but, after all, young Regency folk did become Victorians! The memorial cards used in this article are taken from a scrap album that came to me from my husband's family--I particularly find fascinating the card which features the young sailor. How terribly evocative it is of the age of sail. And do please visit agin next week--hopefully, I will be able to see better by then! In the spring, my thoughts always turn to gardening. I prefer flower gardening to vegetable gardening, but I've done my share of food production. As my gardening thoughts wandered to history and to the Regency, I began to wonder where all the vegetables and fruits that filled the Covent Garden markets were grown. I discovered that they came from the market gardens that surrounded the original 'City' and its satellite communities. 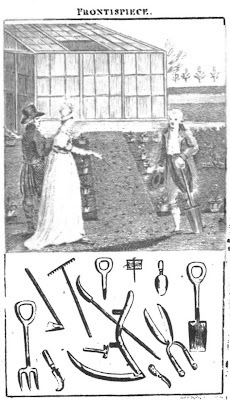 In the mid 17th century, Marylebone was home to several such gardens, as was Islington to the north. Those continued through the 18th century, and were augmented by those to the east around Dagenham. By the time of the Regency, some 10,000 acres of market gardens supplied London's needs for fresh vegetables, and fruits. One of these gardens--of about 200 acres--was the Neat House Market Garden, just north of the Thames across from Vauxhall, the famous pleasure gardens. The area had been known as the "Neat" for centuries, possibly named after an original owner. It now lies under Warwick Square and part of Chelsea. 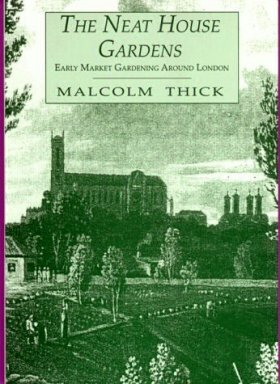 There is a book, which I intend to read, called The Neat House Gardens: Early Market Gardening Around London by Malcolm Thick. It seems as if it might answer all one's questions about the process of this food supply. But, in brief, the vegetable cultivation began shortly after Christmas, the crops rotating through radishes, spinach and onions, followed by cauliflowers, cabbages, and celery. Then the many other seed crops begun in January came ready for planting out. The crops were fertilized by manure from the streets of London. In addition, many of the gardens grew fruit crops; they realized an income of 400,000 pounds per annum, only a little less than the 645,000 pounds that vegetables brought in. The encroachment of the residential areas, and the incorporation of the villages surrounding London into the 'Greater' area pushed the market gardens further and further afield. Improved transportation methods facilitated this change, and the markets of New Covent Garden Market still overflow with produce. 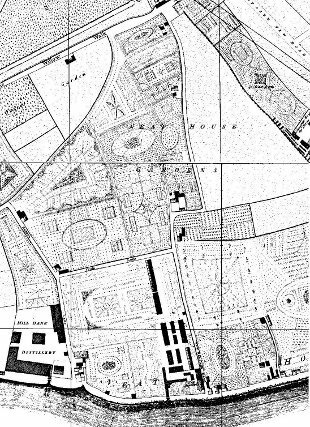 The tidy fields of the Neat House Garden on the map above continue to fascinate me however. I wonder about the people who owned the land, grew the plants and operated this thriving industry. There are stories there...I just know it.